Stores are closing at an unprecedented pace. 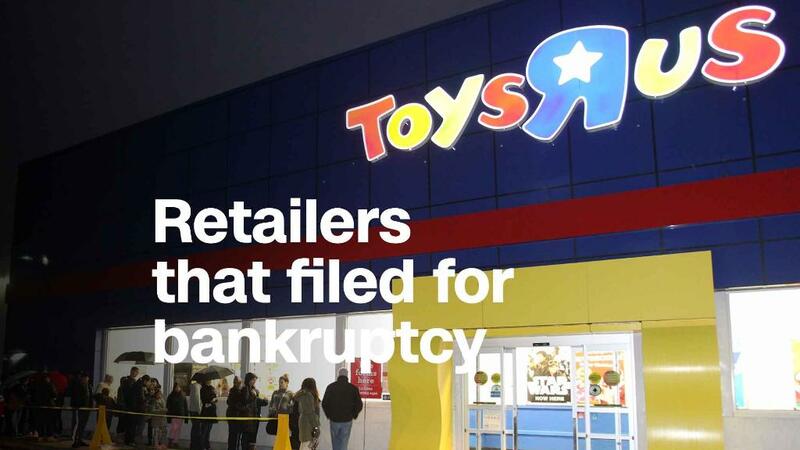 Retailers are going bankrupt. Malls are slowly being abandoned. But don't misunderstand what's happening. Physical stores are struggling -- an understatement -- but consumers are spending like crazy. Confidence is the highest in 17 years. Unemployment is low, and shoppers have more cash to buy stuff. Consumers have recovered from the Great Recession, and then some. The problem for retailers isn't people's willingness to spend. It's where they're spending. After the Great Recession, spending shifted online. In a serious case of bad timing, American retailers built thousands of new stores in the decade prior to the recession, when the economy was thriving, according to Richard Feinberg, professor of retail management at Purdue University. Feinberg says reports of the retail industry's demise are "way overblown." Instead, he says the industry is "facing a retrenchment," because retailers have way too many stores open. Getting that mix right -- keeping the magic number of physical stores open while keeping up with online demand -- will be the key to survival. Hundreds of retailers have suffered from having more stores than they needed. Sears (SHLD), which operated nearly 3,800 stores as recently as a decade ago, is down to 1,104. Macy's (M) closed 68 stores this year, and JCPenney (JCP) announced it would close 128. The CEOs of Payless (which filed for bankruptcy this year) and Urban Outfitters conceded that there are too many stores in America. Retailers know that having physical stores is no longer enough. They have to have a strong online presence to survive this change in spending habits. Online sales are projected to grow, and physical store sales are expected to continue shrinking. "You're not going to be able to out-Amazon Amazon," says Feinberg. But retailers have to try to keep up. Amazon is projected to make up half the online marketplace by 2021, according to Wall Street firm Needham. This holiday season, consumers spent a record amount of money online -- $5 billion on Black Friday alone. That's 17% more than last year, according to data from Adobe Digital Insights. Don't expect all sales to be online anytime soon, though. For most retailers, having a physical presence remains important to their business models. Around 88% of all purchases in the U.S. still take place in physical locations, according to Moody's senior analyst Charlie O'Shea. And these stores are still bringing in major revenue. This holiday season alone, people are projected to spend $420 billion in brick-and-mortar stores, according to Deloitte. Experts point to Walmart (WMT) as the best example of a retailer that seems to be getting the mix right. Walmart has been on an acquisition spree, recently buying up Jet.com, ModCloth, Bonobos, Moosejaw and several other shopping sites. It said last quarter that its digital sales rose a stunning 50% in the United States -- higher than Amazon's growth rate for revenue. The retail sector may only have two major players in the future: Amazon and Walmart. For now, consumers are benefiting from having so many online and in-store options, which is driving prices down, according to Garrick Brown, vice president of retail research at Cushman & Wakefield. Brown says it's unlikely that Amazon would hike its prices except in places where it's dominant. However, Amazon has the cash to buy up many struggling retailers. Macy's and JCPenney combined are worth less than $9 billion, compared with Amazon's more than $560 billion. "It's possible that things could change really quickly for retailers," Brown says.